Ralph Northam won Virginia’s gubernatorial election in a blowout despite preelection gripes from Democrats about his campaign. Northam is now talking about expanding Medicaid in a way that would allow him to work with Republicans in the Legislature. Critics aren’t happy – again – but he has the right idea. Ralph Northam’s blowout win in Virginia’s gubernatorial race last month was great for the Democratic Party, but it was terrible for the narratives of a lot of Democratic commentators. So many people needed Northam to lose so they could make a point about how he failed by not doing what they wanted him to do. And then he won by 9 points, the biggest win for a Democratic gubernatorial candidate in the state since 1985. Some of the premortems allowed that Northam might win on the “reverse coattails” of candidates for Virginia’s Legislature supposedly running the good campaigns he failed to run. But there were no reverse coattails – Northam appears to have carried 58 of 100 delegate districts, running ahead of most Democrats in contested legislative races. 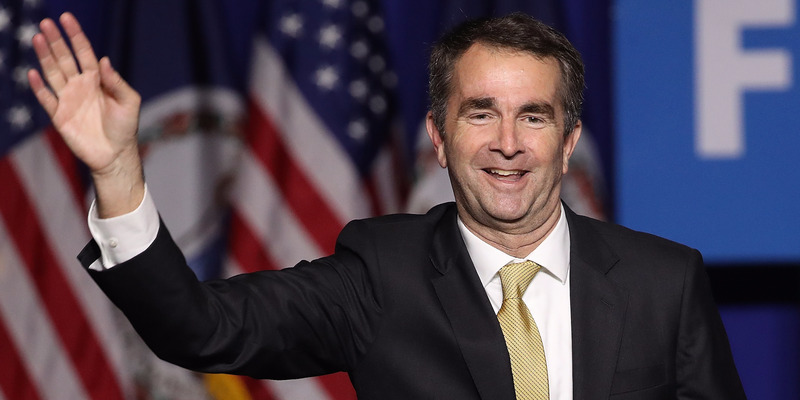 Northam was a good, popular candidate, and he won big. Now, Northam is talking about Medicaid expansion in a way designed to make inroads with Republicans in Virginia’s Legislature, and national commentators’ heads are exploding again. “Outgoing Gov. Terry McAuliffe (D) tried every year to push the legislature to accept millions in federal money to expand the health program to hundreds of thousands of low-income Virginians. Northam campaigned heavily on the promise of getting more Virginians access to health care. “He said Friday that he remains committed to that pledge, but that he must be careful about obligating the state to escalating costs. Under the program, the federal government pays the lion’s share in the early years but the state contribution gradually increases. ‘Medicaid is growing in Virginia by 5 to 7 per cent, in that ballpark, every year,’ he said. “‘So I look forward to … seeing how we can provide better service and at the same time cut costs’ through ‘managed-care Medicaid,’ he said. The key question here is: Do you want a governor who says all the things liberals love, or one who actually gets Medicaid expanded? McAuliffe’s advocacy wasn’t useless – he loudly advocated a popular position, and Republicans blocked its implementation. And that’s a major reason Republicans lost so many legislative seats last month. But despite the large electoral gains, Northam will also have to work with Republican legislators if he hopes to get expansion done. Northam clarified on Twitter that he was not backing away from expanded Medicaid. What Northam describes sounds a lot like the sorts of deals struck in states like Arkansas that expanded Medicaid while under at least partial Republican control – expanding eligibility often while putting most participants in privately run managed-care programs. Northam happens to be right that a significant source of pressure on state budgets is Medicaid costs rising faster than inflation, and that managed care can be an effective way to contain costs while providing quality care. Of course, maybe Northam will strike a good deal, and maybe he won’t. Maybe he really is plotting to sell his voters out. Or maybe despite Northam’s best intentions and appeals to bipartisanship, legislative Republicans won’t be chastened at all by the shellacking they took in large part because of their position on Medicaid, and they won’t come to the table to deal. On the other hand, maybe he’ll achieve a compromise deal by following a blueprint from governors like Mike Beebe, Rick Snyder, and Jan Brewer that has led to health insurance coverage for hundreds of thousands of people in Arkansas, Michigan, and Arizona. As with the election, it’s probably best to wait and see what Northam’s results are before we decide whether he’s an idiot or not. And if Republicans block expansion even under a popular governor willing to work with them on the terms, then Democrats can use the issue to beat Virginia Republicans over the head again in the 2019 election. If Democratic legislative candidates run as strongly in 2019 as Northam did this year, they will end up with 58% of the seats in the House of Delegates and 60% of the seats in the Senate, and they will be able to write whatever Medicaid plan they want.